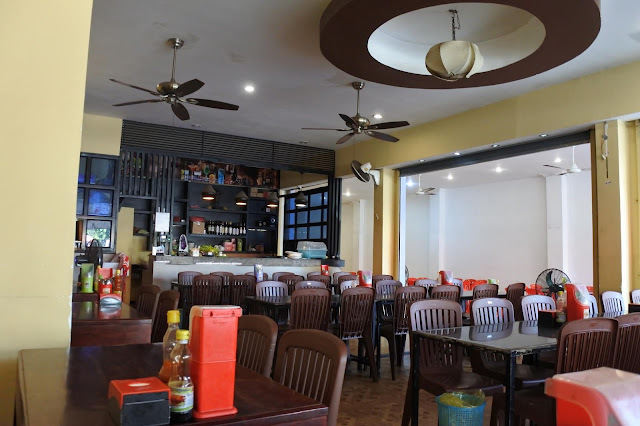 Steven Corner BBQ is one of the most popular restaurants near Pub Street in Siem Reap. It is located along the main road and is just beside Japan Home. For those who are not yet initiated into Khmer cuisine, you'll enjoy the food choice here at Steven Corner BBQ. There's also some fresh ingredients choices, similar to our "paluto." Having tasted the popular beef "loklak," we can't help but order it again. 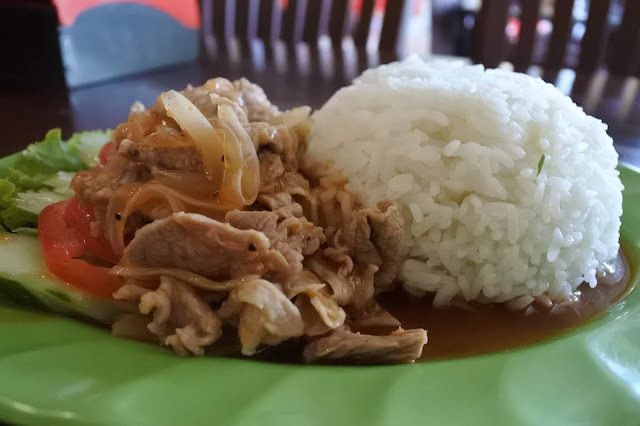 Beef Loklak is stir-fry beef in oyster sauce with onions and seasoned with salt and pepper. There's also a chicken version of loklak. Even if I swear not to eat too much chicken (hello allergy! ), I can't help but order this mouthwatering Chicken BBQ. There's a downside though, you need to order some appetizer because it takes ages before it was served since they just grill the chicken when you order it. 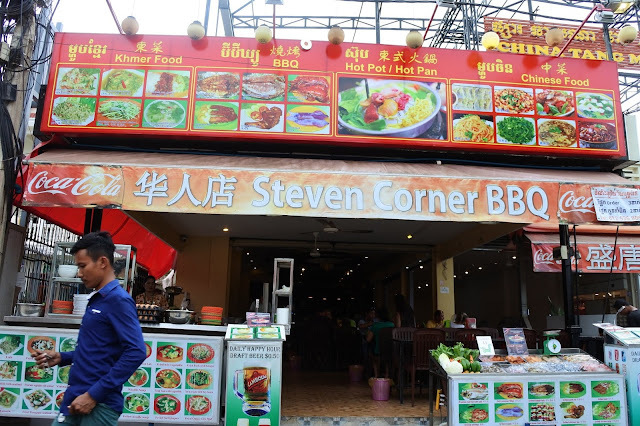 Also, it was an hour or two after lunch when we went to Steven Corner so there's no other diners except us. 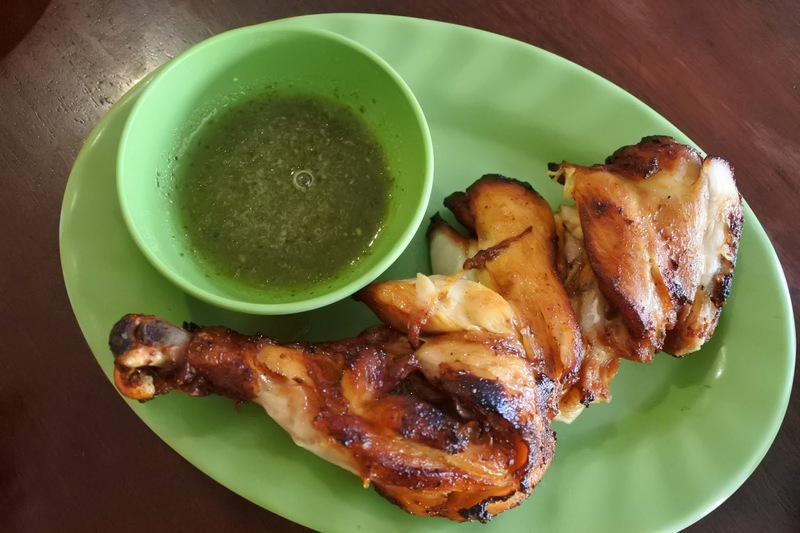 The chicken bbq comes with a lime-mint sauce and it is not spicy. It is notable though that Khmer cuisine is mostly flavored with herbs and not spicy. 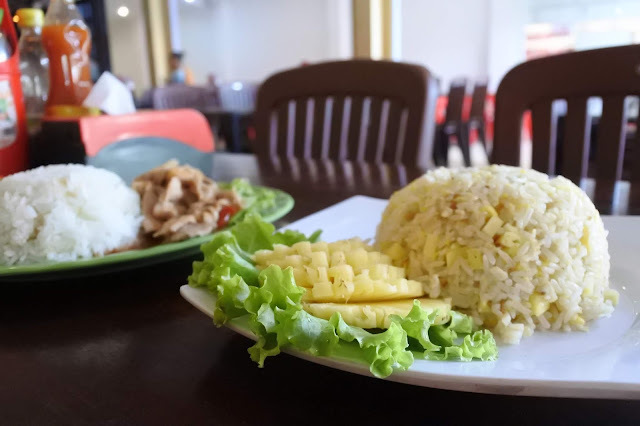 Each meal cost less than $3usd although there are pricier ones on the menu. Not bad.